successful island nation in the World, The Bahamas. We, The All Bahamian Brand©®™, consistently seek to honor, archive, record and make mention of the great exploits, group and individual, that Bahamian Athlete’s participating in the sport of Basketball achieve. We, The All Bahamian Brand©®™, have been and will continue to work to be the most trusted resource for Bahamian High School Basketball records, videos, awards, exposure and development camps, scouting and Bahamian High School memorabilia. We, The All Bahamian Brand©®™, under the international sanctions of the International Sports Press Association (I.S.P.A. ), The United States Basketball Writers Association (U.S.B.W.A. ), The International Free Press (F.P.A.) 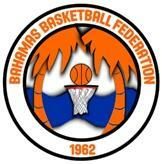 and The Bahamian Association of Sports Media Affiliates (B.A.H.A.S.M.A.) do fully conduct all practices above board. We, The All Bahamian Brand©®™, do pledge here publically to remain unbiased, pure and fair as best possible in our honoring and reporting of the positive accomplishments of The Bahamian Country. We, The All Bahamian Brand©®™, give God the Lord of all the Universe full thanks and praise for the ability and opportunity to positively represent the good exploits of our country to the masses the World. and the Phrase “All-Bahamian” are all Registered and Copy written Trademarks of the All-Bahamian Brand. Any Re-use, Reproduction or Re-dissemination without the Express written consent of The All Bahamian Brand is strictly prohibited and punishable by Law. The Contents of this website are not to be re-distributed or re-disseminated to any other individual(s) or entities outside of the formats expressed or determined by The All-Bahamian Brand©.